You are a mother supreme. You birthed the rivers and lakes and seas. Man, microbes, and the many trees. Life and death lie in your belly. Your core burns with fierce fire unending. To your beloved ecology without relenting. Like a happy mom you fertilize and nurture. Apples, pears, beans and eggs abound. Unleashing horror, pain and anguish around. You never grow weary but spin on and on. In your bosom you absorb them all. You conserve and keep everything enlivened. We men owe it to you that you live long and glow in grace. 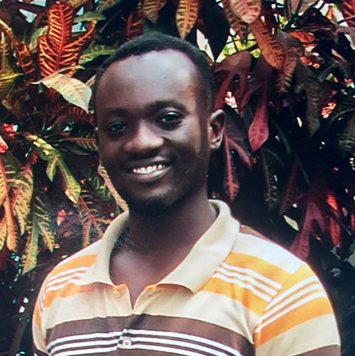 Kafui Avaworyi (Carphuy Loro) from Ghana likes literature and poetry. He writes short stories and poetry. Has a B.A. in English and Political Science and is an ardent fan of Sydney Sheldon.